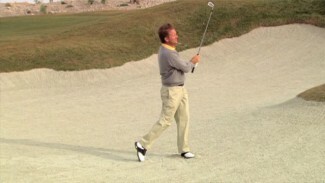 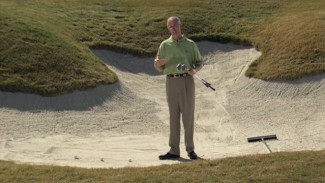 PGA Tour Professional Jamie Fordyce teaches you how to handle a buried bunker shot when playing onto the green. 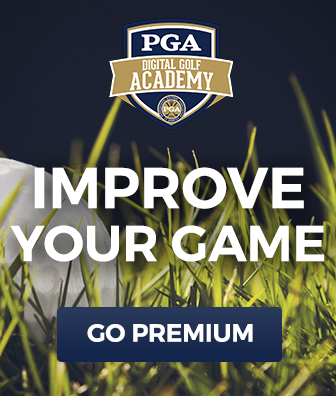 He recommends getting into a low, wide stance so that you are further over the top of the ball, which will result in a steeper backswing. 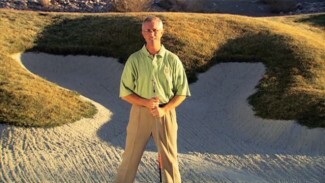 By hitting just behind the ball and throwing sand onto the green, you eliminate the backspin that you would utilize in a normal greenside bunker shot.